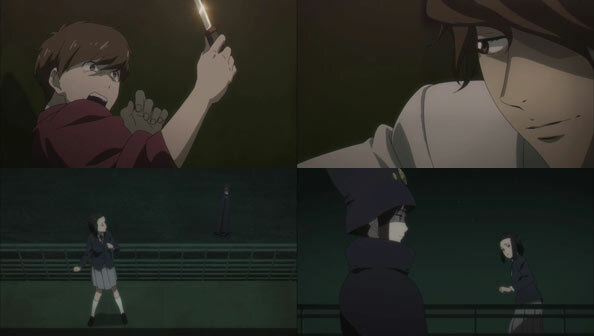 Boogiepop switches gears completely to a new mysterious, twisting tale with a new batch of players; only Boogiepop herself is the constant from previous episodes. We seemingly begin at the end, as she confronts her new enemy and enemy of the world, “Imaginator.” But Imaginator (Hanazawa Kana) tells her endings are just beginnings. Jumping off the ledge, she says there’s “plenty of time” before she hits the ground for Boogiepop to find her. 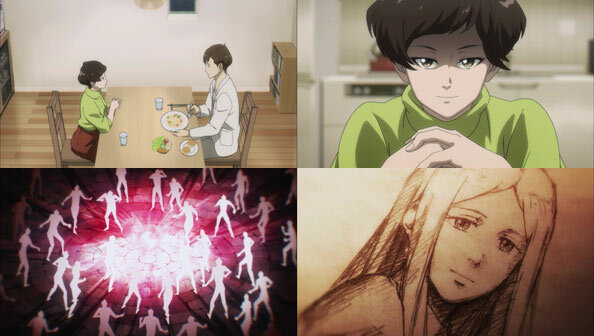 From there, the POV switches to starving artist and guidance counselor Asukai Jin, who has a very unique ability to detect what is missing in the heart of virtually everyone he meets. The heart is depicted as a rose plant, either lacking root, stem, leaves, or buds. Everyone lacks something, and that lack can never be resolved, and Asukai can’t see his own heart, so he doesn’t know what he himself lacks. He does what he can with this ability, but he feels powerless to truly help people. That’s when Imaginator finds him. Like him, she can see things no one else can; in her case, their deaths, or rather the possibility of their deaths. Living creatures generate a certain kind of energy before their lives burn out, and she can detect that. This makes her a valuable tool for anyone who would choose to manipulate death. She exists to “recreate the world” with that ability, but she could use some help, so she asks Asukai to assist her. As Asukai has some dinner his cute neighbor prepared, suddenly the young woman is possessed by Imaginator and speaks with her voice. She reiterates her desire to join forces, indicating that the one thing Asukai definitely lacks is a “calling”; which she can provide. Imaginator kisses him to show him that calling, in which he uses his right hand to “prune” the roses from people’s hearts like some kind of dark angel of death. The prospect frightens him, and he believes himself incapable of such brutality, but Imaginator tells him his calling is his calling, and he is capable of it, period. It’s ultimately up to him whether to utilize that capability. Fast forward to Asukai being questioned by police after an incident in which Imazaki Shizuko, a former student he counseled and drug addict and dealer, tried to rob him at knifepoint before committing suicide. 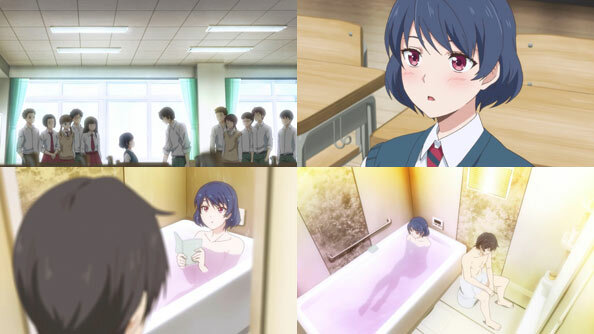 We shift between the questioning, during which the police don’t suspect him at all, and the incident itself, when Imaginator possesses Imazaki’s body to further illustrate how their partnership will work. She shows Asukai that Imazaki was at the end of her tether and would be dead anyway in a matter of months, likely alone and after more suffering. 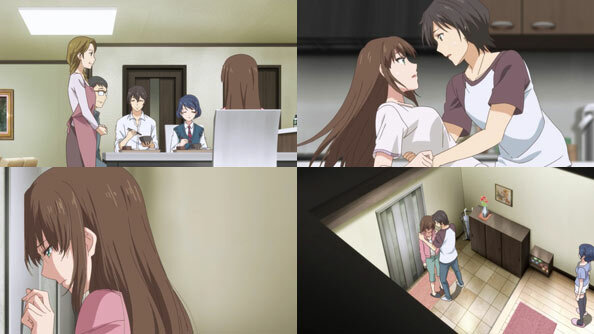 But she tells Asukai there’s something he can do for her, before plunging the knife into Imazaki’s neck. As she dies, he can see her rose, which he cradles in his hands. 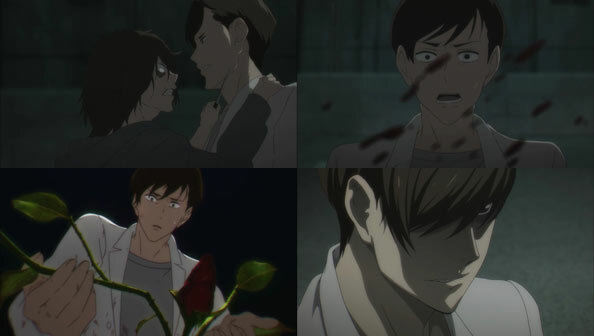 Before heading home, one of the detectives asks if Asukai said anything to Imazaki before she died, since she seemed so peaceful, as if all the thorns had been pulled from her heart. Asukai tells the cop he said nothing, and he seems to be telling the truth. It’s not something he said, but something he did, along with simply being there. 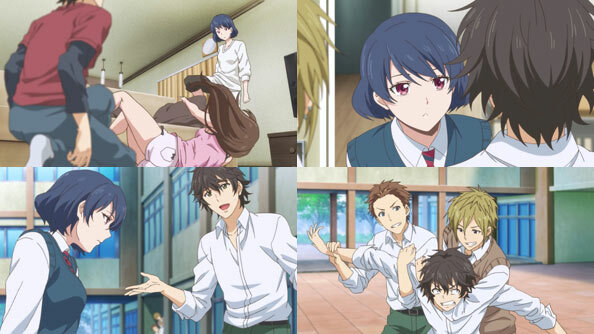 In another incident in which three delinquents are harrassing a fourth boy who is protecting a girl they want to “have some fun with”, Asukai decides to experiment with his new “alliance” with Imaginator. He has the boy run off to safety with the girl, freezes two of the delinquents, then has the ringleader turn his knife on himself. But hearkening back to the episode’s beginning, Suiko hasn’t “hit the ground” yet; she hasn’t reached the next world. Indeed, she’s working with Asukai to recreate this one. 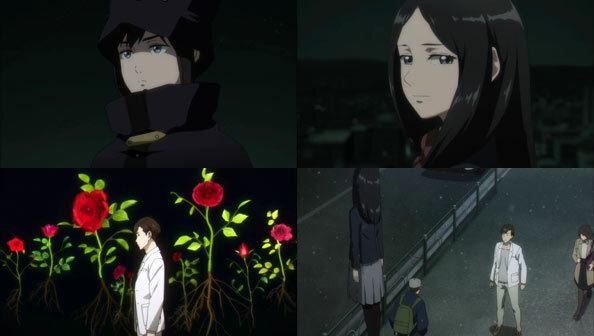 Will Boogiepop need help from a human (other than Touka that is) to defeat Imaginator?